Hi, I'm Jacq! The first thing I'd like you to know about me is that I am obsessed with dogs (particularly my own, but probably yours too if you have a pooch!) and generally an adoring animal lover. Now that I've gotten that out of my system, let me tell you a little bit about my other passion: art & photography. I am a SF/bay area native who has now been in NYC for almost 12 years. Before photography, I studied painting at UCLA before transferring and receiving my BFA from School of Visual Arts in NYC. I somehow always thought I would end up in the fashion industry, but life had other plans. I fell in love with capturing the love and vibrant personalities of couples, both as individuals and as a united entity, always listening closely and empathetically to each of my clients and allowing me to form a special connection with them. I am grateful to call many past clients my friends.  I founded Love in Theory officially sometime in winter of 2011. We have become a multi national award winning portrait studio, with a main focus on weddings and couple shoots with an editorial style and a fashion influence. Clients have often commented on myself & associates I chose to work with, mentioning our personal touch, warmth, and calming demeanor. I pride myself in being able to make my clients feel comfortable in front of the camera, and therefore being able to create conceptual, thoughtful, and powerful images that surpass the traditional takes on wedding photography and portraiture. - I am half Chinese & half French Canadian (go Habs). My full name is Jacquie, and my sister's name is Jacqueline. She now goes by Jaci, and I go by Jacq. Creative parents, huh? - The love of my life is my 70lb lab/husky mix, named Amelie (aka Melly, aka Melly Belly, Melly Belly Lemon Jelly, or Mellus) The other love of my life is my tuxedo cat who thinks he's a dog. If you hate cats, he will change your mind.